Jim Farrar, left, updated legislators on pests and diseases that pose a threat to California wine grapes. 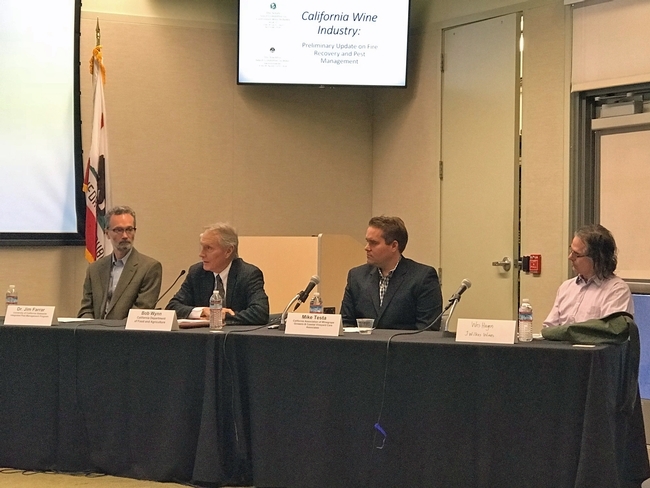 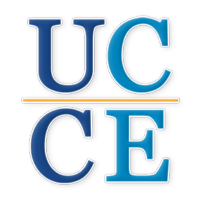 Recent surveys in the North Coast have found that 90 percent of the powdery mildew samples collected were resistant to strobulurin fungicides, the director of UC Integrated Pest Management Program told legislators at a joint hearing of the California Assembly and Senate Select Committees on California's Wine Industry. 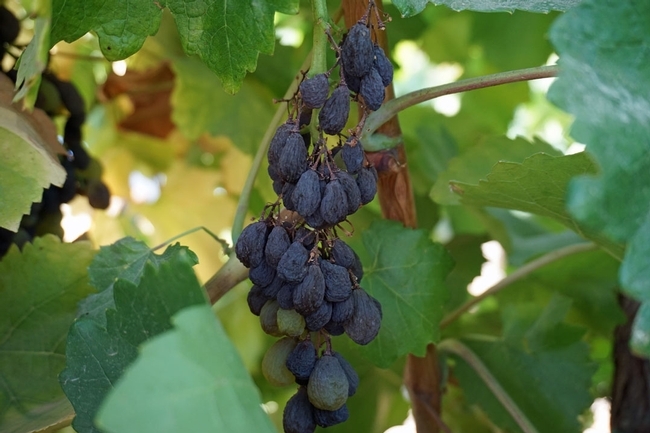 A potential solution is breeding winegrapes to be resistant to powdery mildew, but a drawback is that the wine industry is largely known for its varietals. 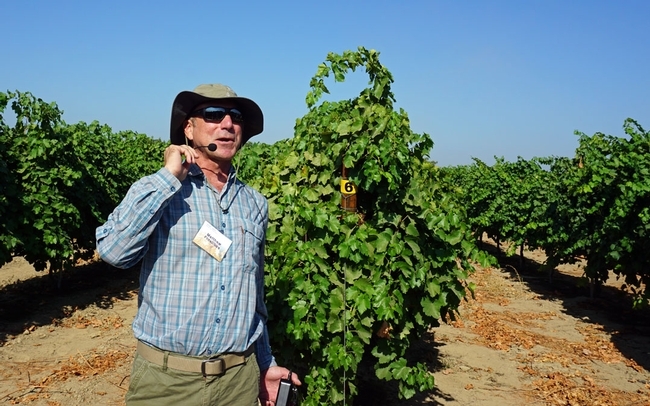 “Professor Andy Walker at UC Davis has succeeded in crossing winegrapes with a wild grape species that is naturally resistant to powdery mildew and then crossing the offspring back to the parent winegrape variety for several generations,” said James Farrar, who was invited to speak at the committees' informational hearing on “Fire Recovery and Pest Management Awareness” at UC Santa Barbara on Nov. 7. 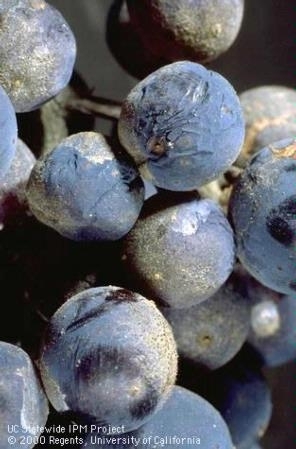 Powdery mildew symptoms shown on cabernet sauvignon grapes. 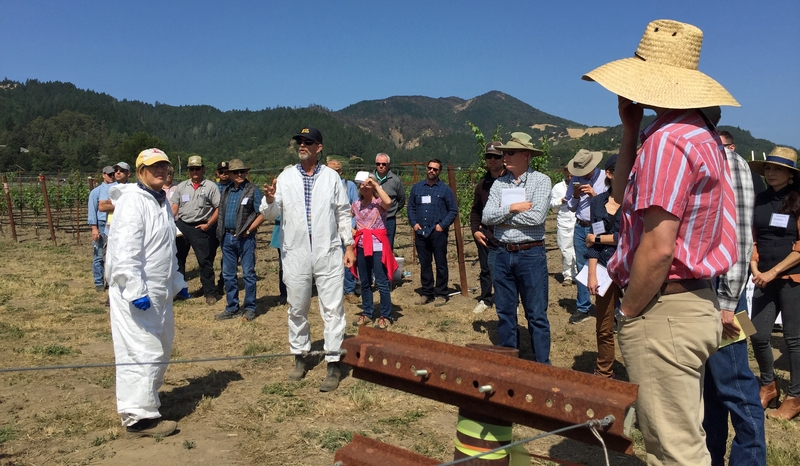 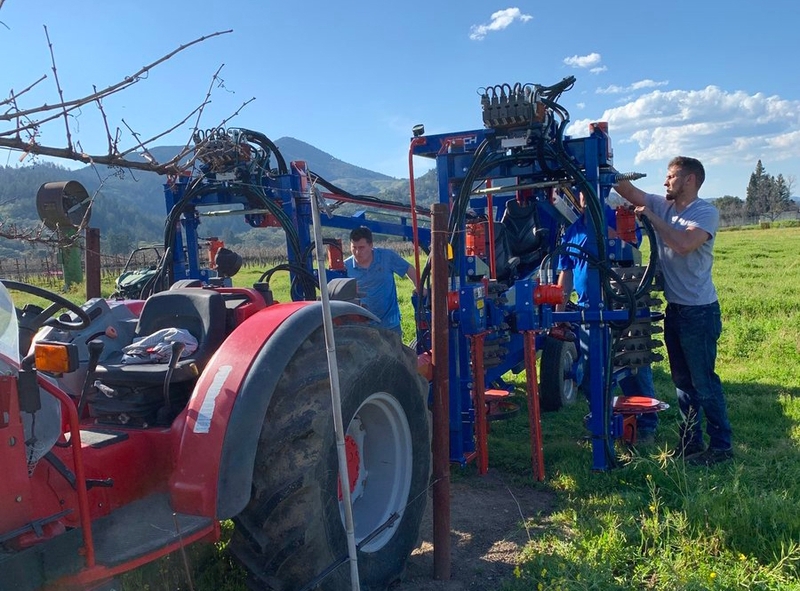 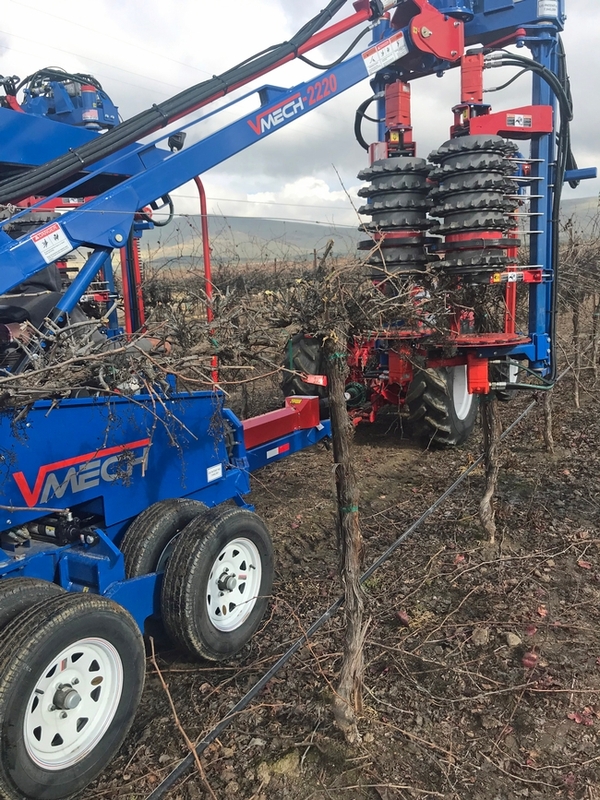 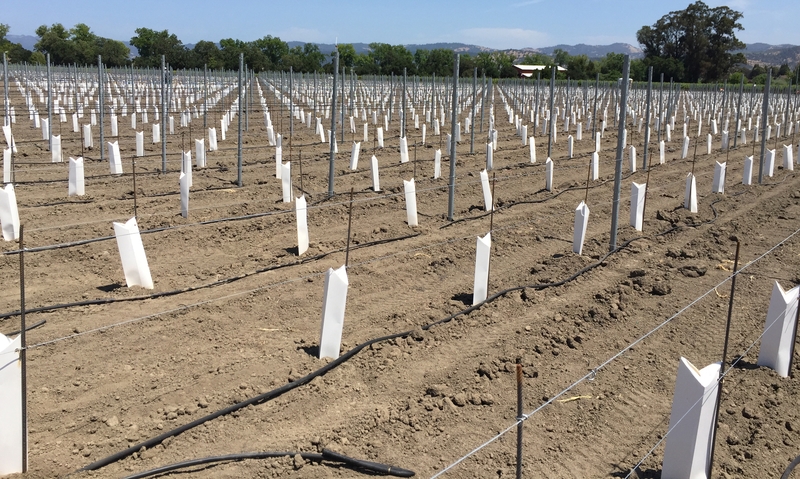 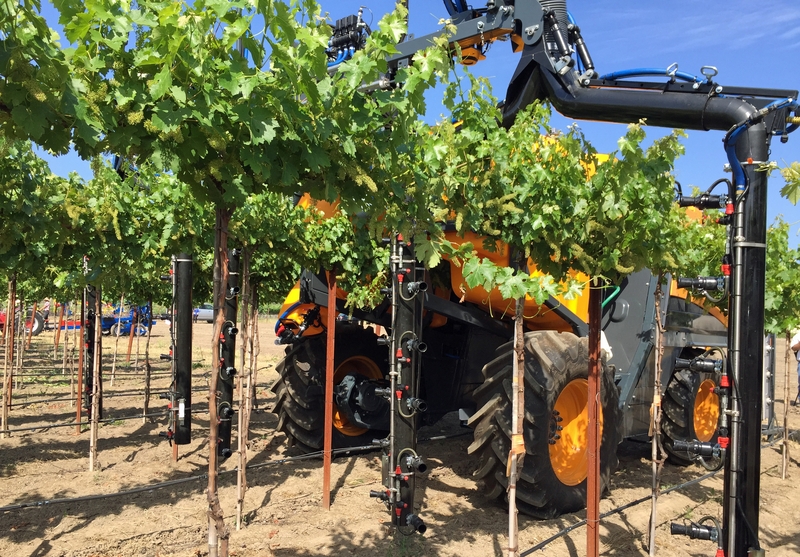 In addition to powdery mildew, he also talked about red blotch virus, which was relatively recently identified in California, and grapevine leafroll associated virus and the mealybug species that transmit the virus. Bob Wynn from the California Department of Food and Agriculture gave an update on Pierce's disease and its vector glassy-winged sharpshooter. 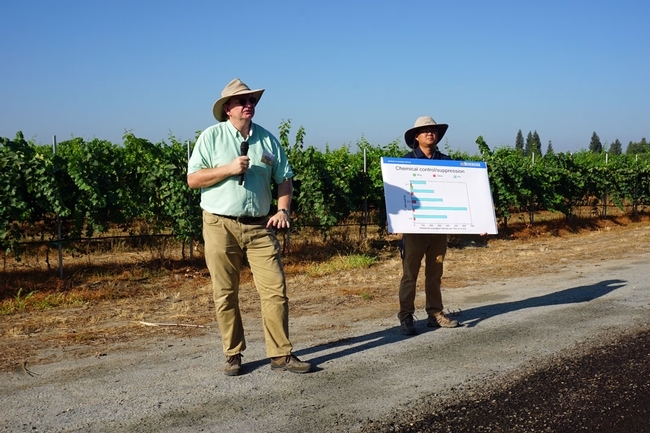 Farrar warned the legislators of increased human health risks due to “unintended consequences of social pressure” on the herbicide glyphosate, which growers use to control weeds under grapevines rather than tilling the soil, to comply with Natural Resources Conservation Service and Salmon Safe guidelines. 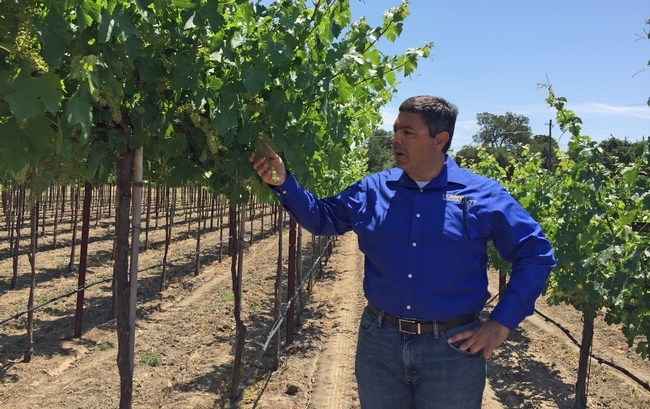 “Recent social pressure resulting from the International Agency for Research on Cancer labeling glyphosate a probable human carcinogen and news stories indicating detection of glyphosate in wine have caused some growers to look at other herbicides,” Farrar said. “The other choices are glufosinate, which is more risky to applicators, less effective, and more expensive, and paraquat, which has similar price and effectiveness, but much greater risk to applicators. 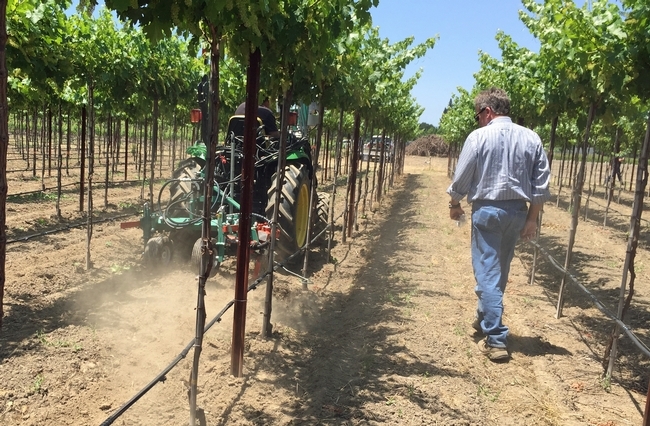 Paraquat is a restricted-use pesticide that is highly toxic to humans – 3 teaspoons will kill an adult. 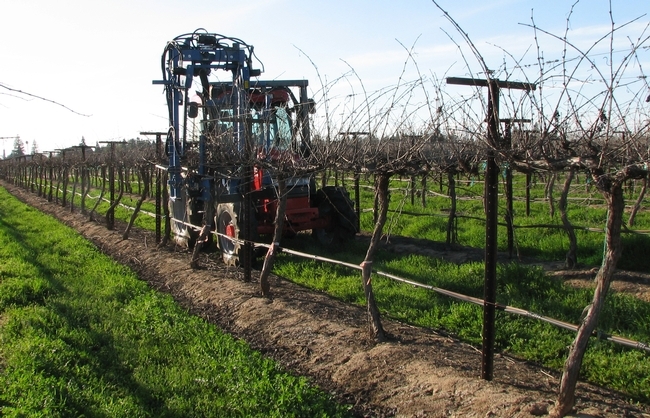 It has a higher risk ‘Danger' label in contrast to the lower risk ‘Caution' label for glyphosate. 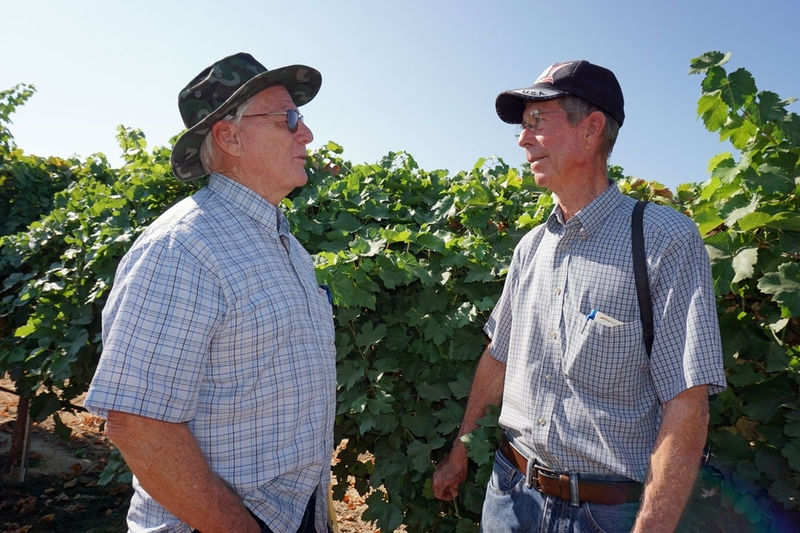 To read the full transcript of Farrar's comments, visit http://ucanr.edu/files/273433.pdf. 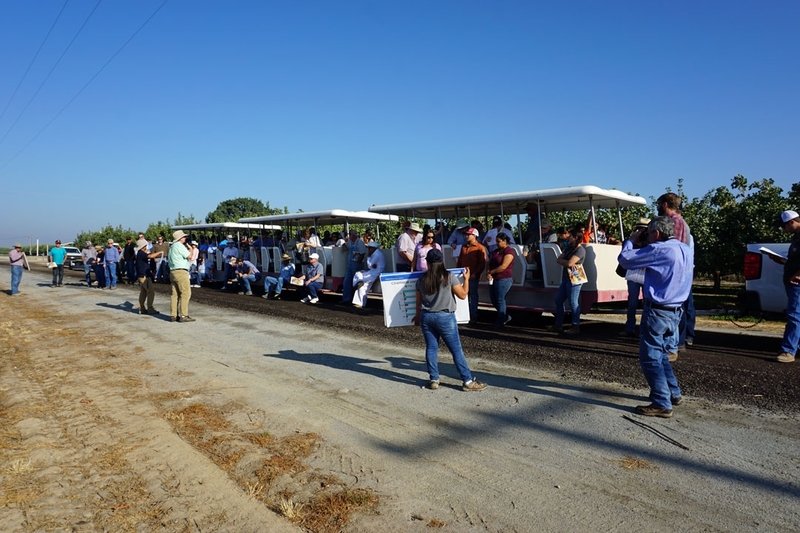 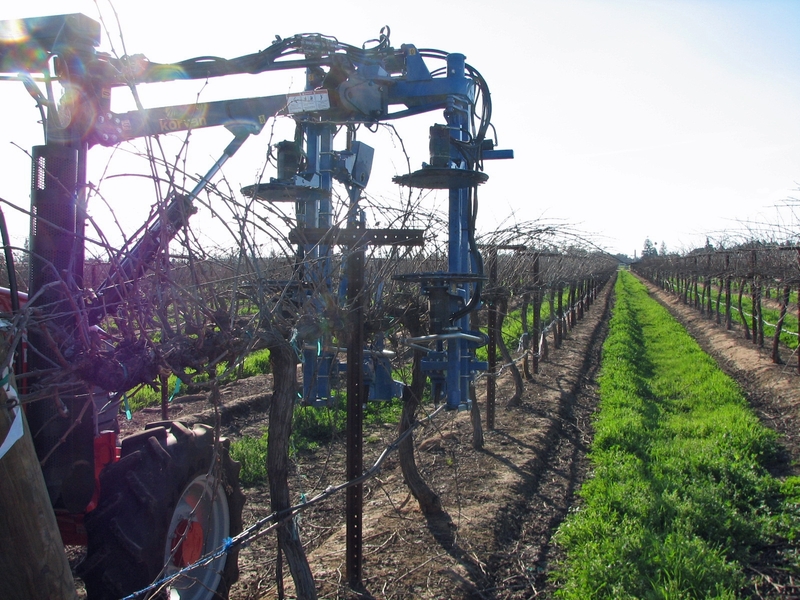 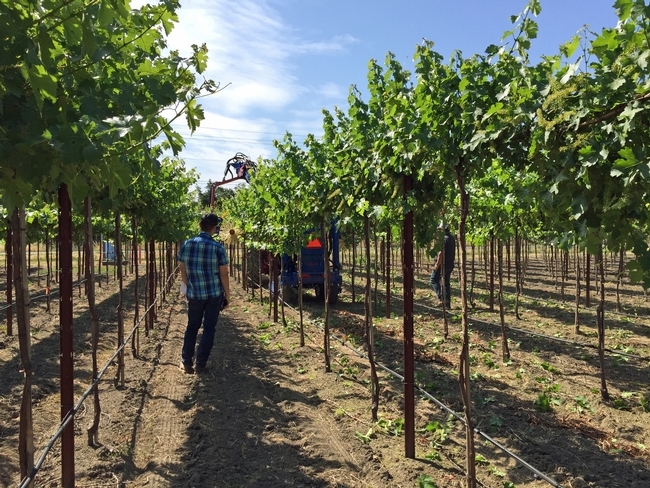 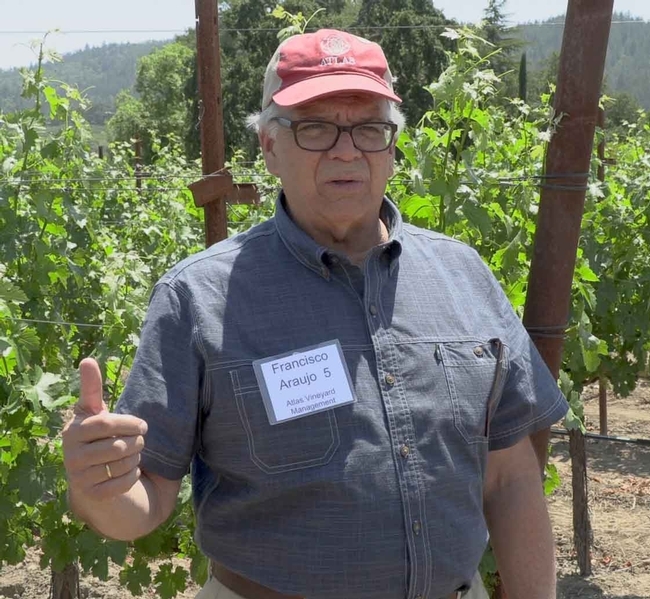 His handouts on grape pest management are at http://ucanr.edu/files/273434.pdf.